Catastrophe is a Canadian 30 minute scripted comedy television series, which kicked off on February 14, 2017, on Super �cran and is broadcast every Sunday at 20:30. The show is currently in its 2nd season. Super �cran is yet to announce the renewal of Catastrophe for Season 3 as well as its cancelation. Sign up to track down the show's status and its release date. 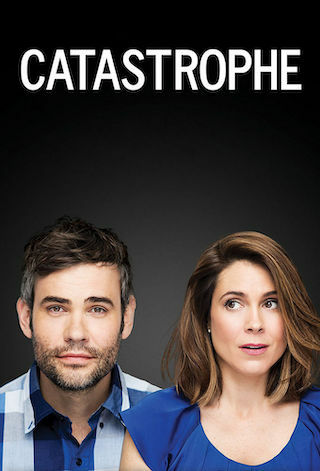 Based on the British sitcom with the same name, Catastrophe starts with a one-night standan encounter that is not meant to have a future. Audrey, a Quebecer and Frank, an American who is a Francophile, experience the most intense six days of their lives. A few weeks later, Frank gets a phone call from Audrey: he finds out that she is pregnant. The couple decides to have a go at parenting together, despite knowing each other very little.